Piatnik's Rummy No.210 depicts period caricatures from the 1930s. 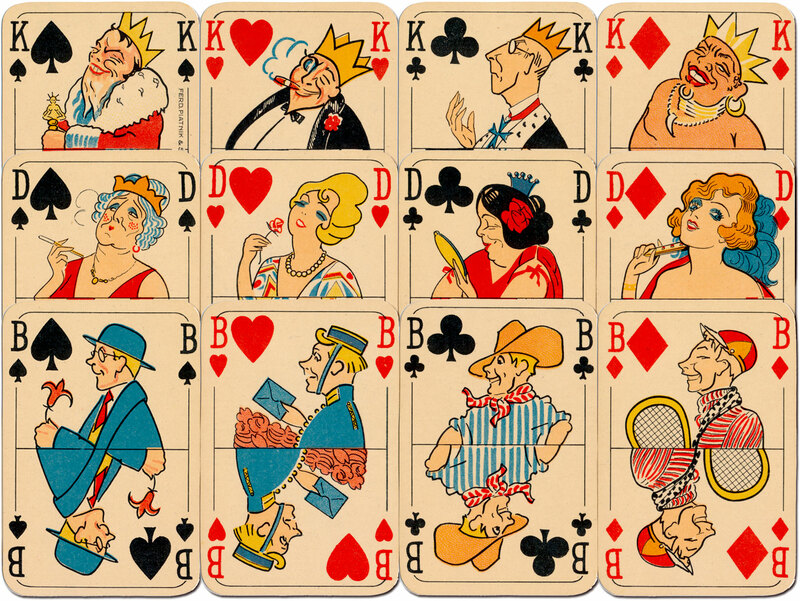 The Kings are in fancy dress with party-hat crowns; the Queens appear glamorous and ready for socialising whilst the Jacks are stereotyped go-getters. Above: 'Rummy No.210' by Ferd. Piatnik & Söhne, Vienna, 1934. 52 cards + 2 Jokers. The courts and the back all reflect the Art Deco style of the period. Cards from the collection of Barney Townshend.